Quite a few people can relate to the unpleasant sensation of being hit with the realization that you've lost your phone. Worse yet, others can tell you how it feels like to have it stolen right from your person. The material value of the phone aside, it's also as if a small piece of you is gone. All those pictures you snapped? Gone. These texts from the honeymoon phase of your long relationship with your current boo? They, too, are bye. And that's just a part of it. Even today, however, smartphone theft happens. Thankfully, there are better and much more robust tools, baked into the very operating system of your device, that can help in such events: Android Device Manager and Find My iPhone, for example. If the results of our yesterday poll asking you to indicate whether/when you've last had your phone stolen/lost don't get you to activate these features, nothing will. As you can imagine from the above, quite a few of our readers have either lost their phone or had it stolen. 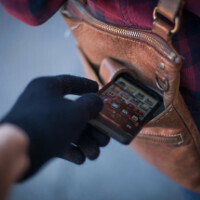 A total of about 18% have misplaced one, while a staggering ~28% have fallen victim to theft. That's left us with just over 54% of participants who claim they've never had to deal with such drama. I have had my BlackBerry phone stolen like 7 years ago and I was devastated. The emotional attachments we have for our devices is just... incredible I guess. Had my BlackBerry stolen as I stepped on a bus. I realised seconds later but the bus had already moved. My Samsung Corby II (my first phone ever) is stolen by someone..... it was my fault to left the phone unattended at table. I had my Xperia M stolen just after 2 months of my purchase. I usually have my headphones on while I'm travelling but that day I didn't for some reason. I realized just after I got on the bus that it wasn't in my pocket anymore. I checked all my pockets and even checked my bag. I asked a stranger on the bus to let me make a phone call, when i called my number - It had already been turned off. The date that day was - 11.12.13.